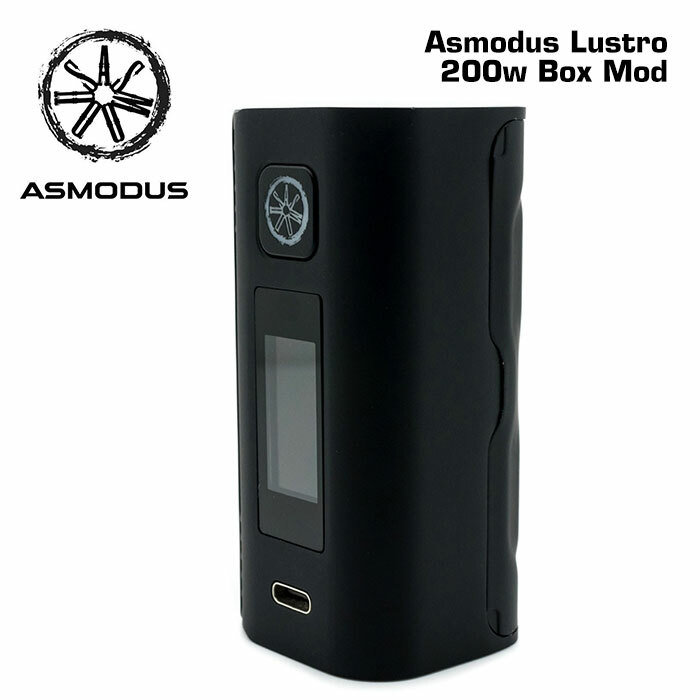 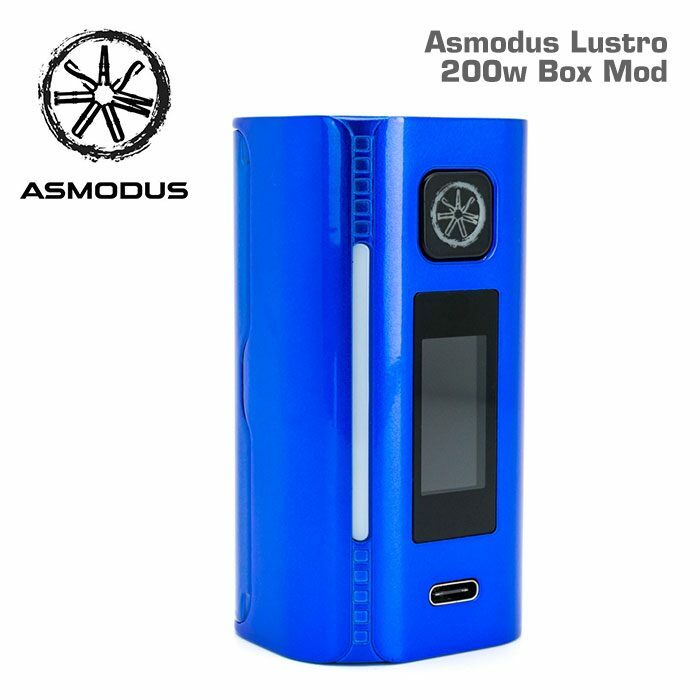 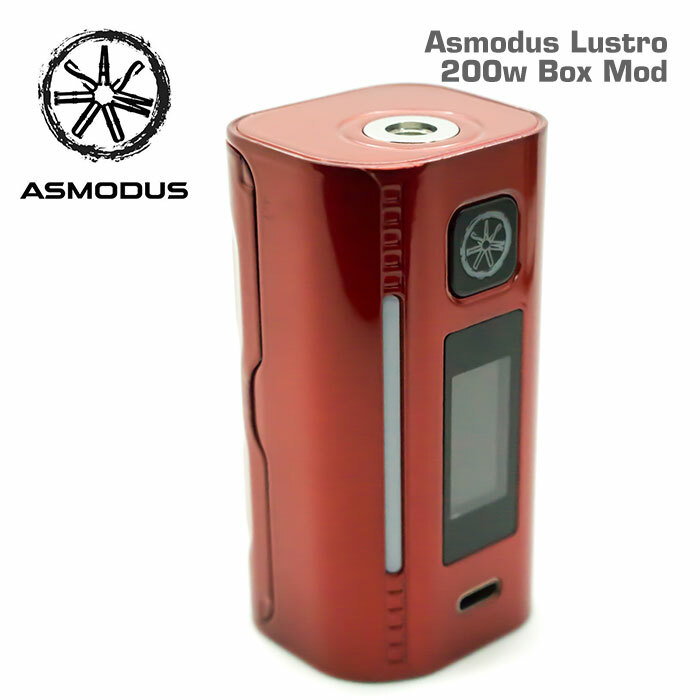 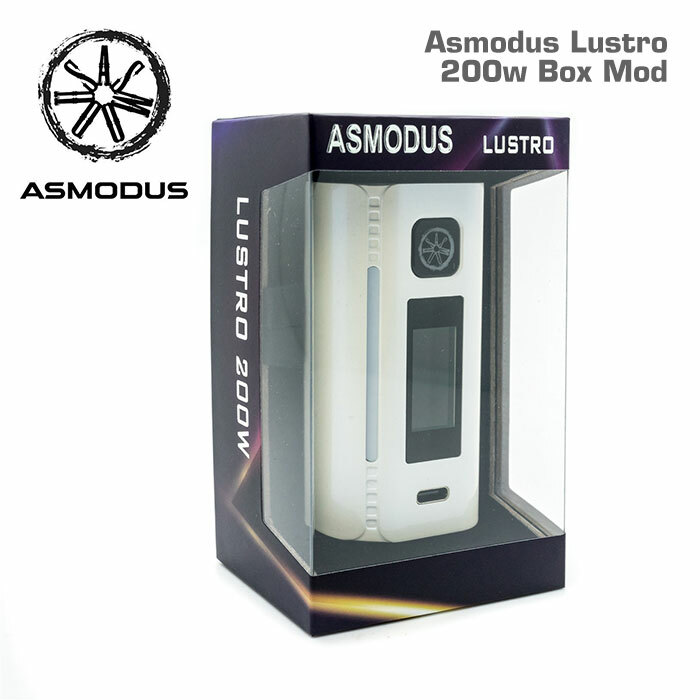 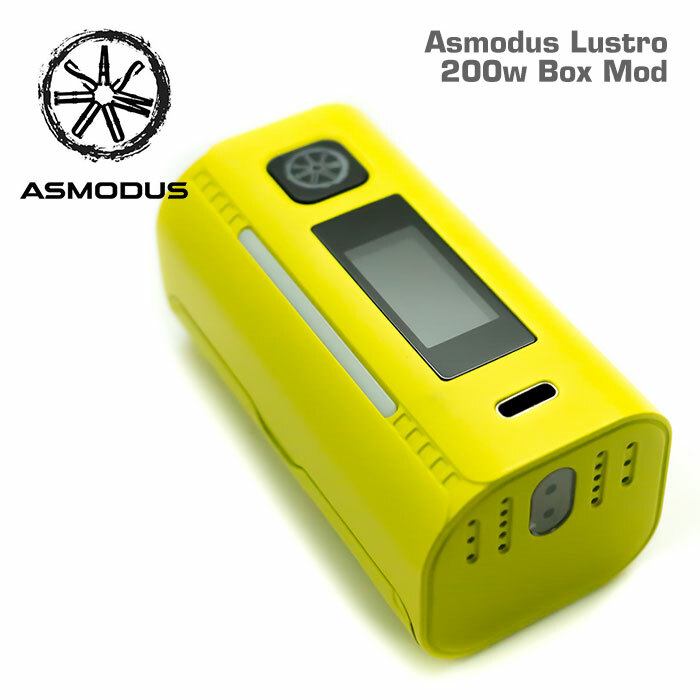 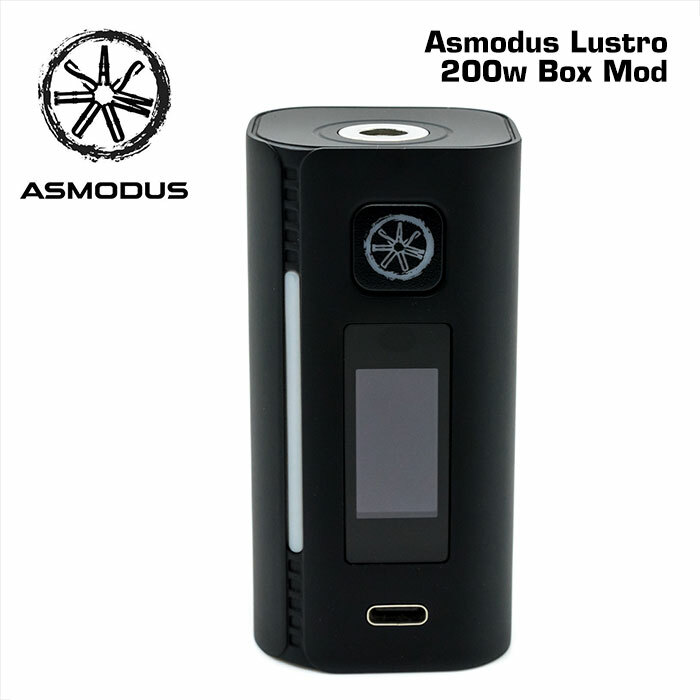 The Lustro 200w Box Mod is Asmodus’s latest and greatest box mod, incorporating several innovations that may change the world of vaping forever, starting a trend of advanced, high-tech devices with features that turn a vaporiser from a simple nicotine-delivery device into a modern piece of technology similar to a smartphone or laptop. 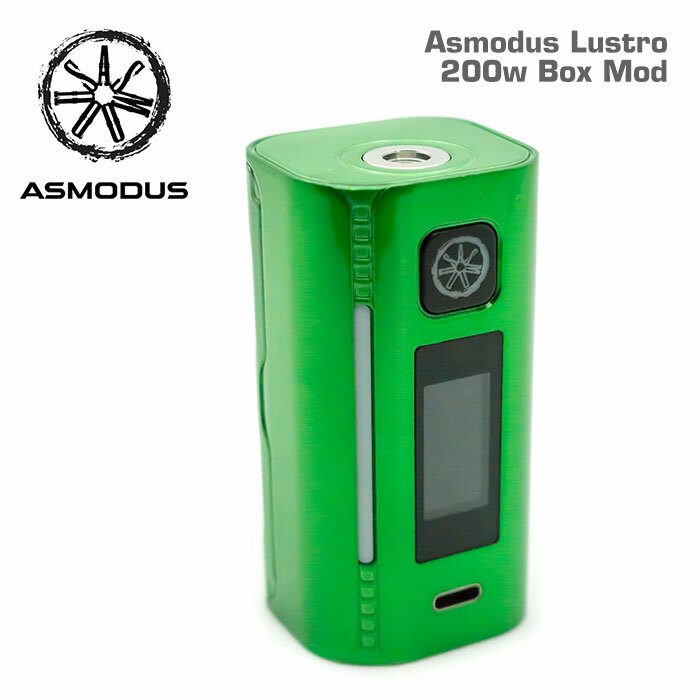 One of the standout elements of the Lustro is the inclusion of an IR (infrared) sensor that allows for a futuristic hands free method of control that does not require the user to touch screen to interact with their device, turning your everyday vaping session into something you would see in a sci-fi movie. 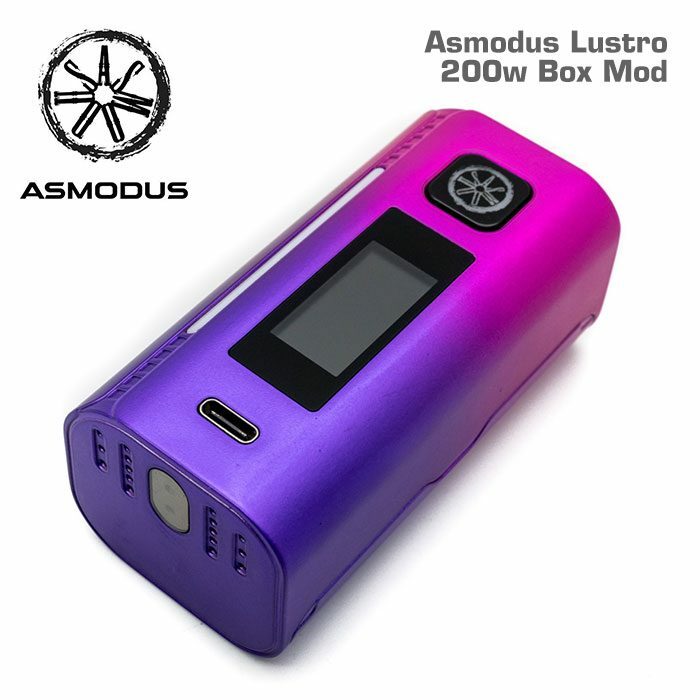 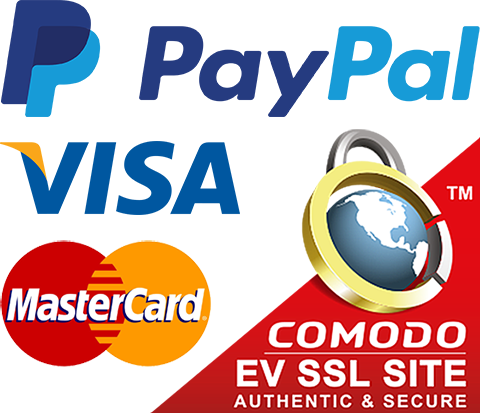 By simply waving your hand in front of the the device you may navigate through the menu or switch firing modes, an affair that you must experience for yourself to believe. 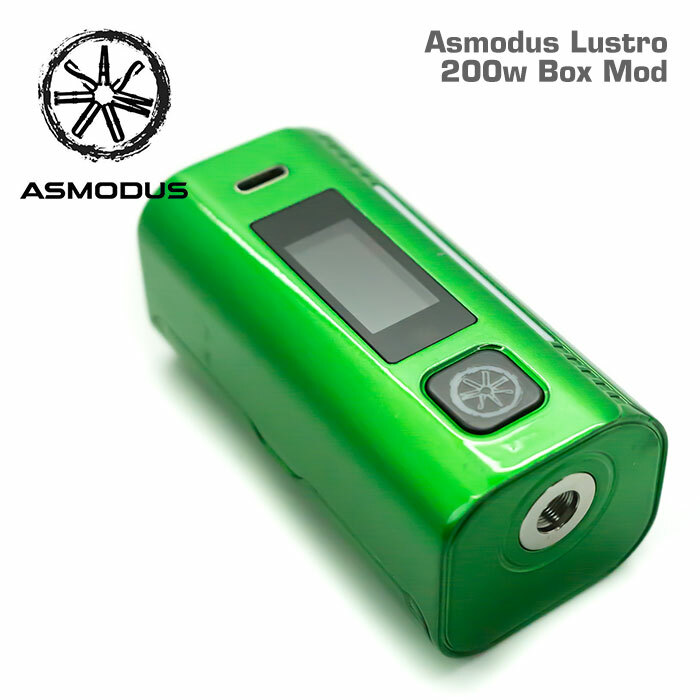 The colour-changing LED stripe located to the left of the display provides a degree of personalisation that grants the user the ability to make each Lustro their own, lighting up either green, red, or blue gradually from the bottom to the top as the mod fires, giving the user an easy way to estimate just how long their hits are without keeping their eyes glued to the display. 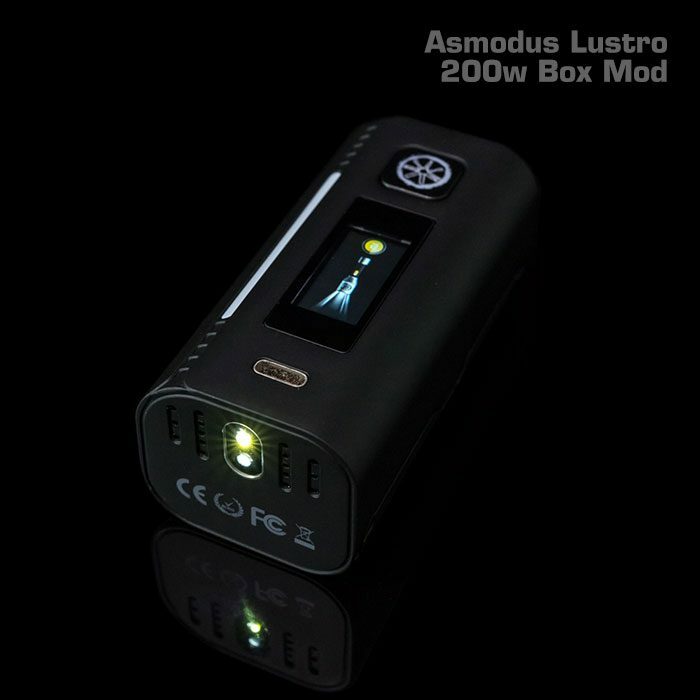 Behind the firing button is another LED that will always match the colour of the stripe, and can be set to stay lit for up to 10 seconds after the mod stops firing. 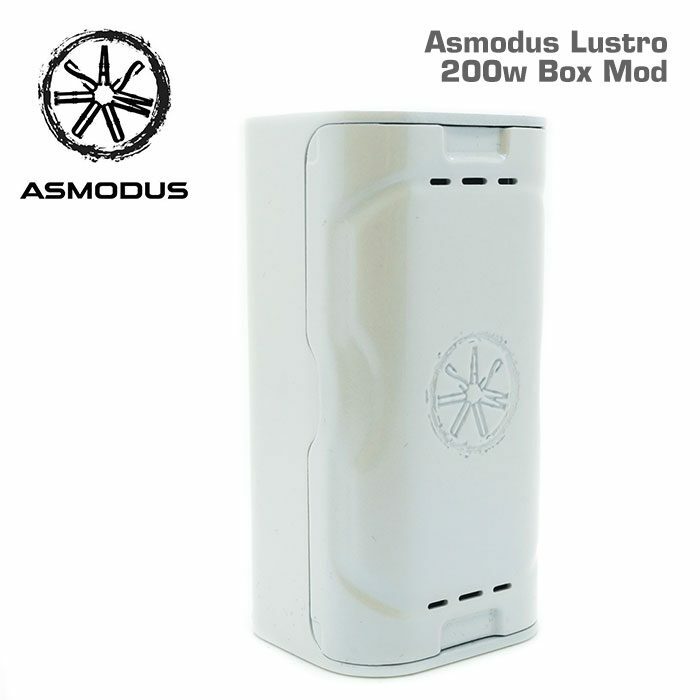 As well as providing a unique external style, together these lights act as an alert system that notify the user that their device is being activated due to accidental contact with an object or a malfunction, providing an extra layer of protection against burnt cotton and venting batteries. 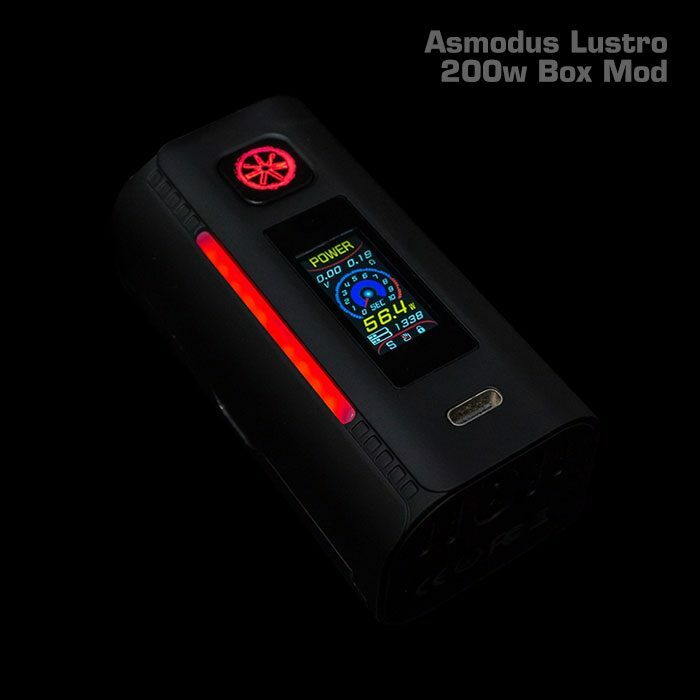 In addition to these two colour LEDs that activate upon firing, the Lustro is also equipped with a flashlight on the bottom of the device that has two levels of brightness, a tool that will prove useful in countless situations.